Most rose books somewhere in their section on pruning climbing roses talk about occasionally removing an old cane. They suggest this because doing so spurs new growth in the form of fresh canes that flower better. This constant process rejuvenates the rose on a regular basis. All good in theory but it’s a whole different story when you are standing with a pruning saw in front of your ten year old climbing rose that you have lovingly trained over that arbor by your front door, or along the picket fence in your front yard. The fear is that you follow the instructions, take out the old cane and then – nothing will happen. Fear not. It works and it’s good advice. And to prove it to you we’ve made a video that follows this process over a few months. 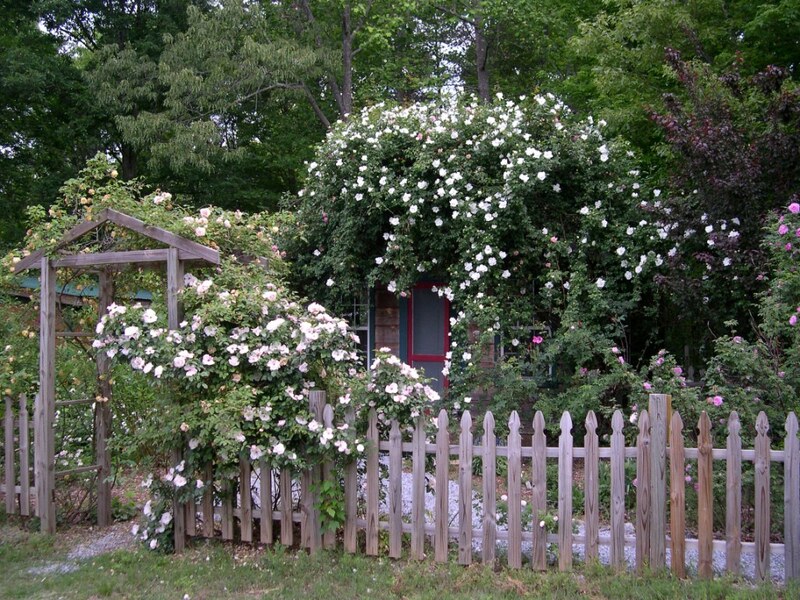 I did mine during pruning season but now, right after the first flower flush, is also a great time to do it.Watch the video and then with confidence you can rejuvenate that old climbing rose of yours.